John Moore/Getty ImagesBorder Patrol agents taking into custody a father and a son from Honduras near the US-Mexico border on Tuesday near Mission, Texas. A teenager at a US Border Patrol facility in South Texas took care of a young girl for three days after she’d been separated from her aunt. The 16-year-old taught other children in her cage to change the girl’s diaper. After attorneys asked questions about the girl’s situation, she was reunited with her aunt. Nearly 2,000 children have been separated from their parents since Attorney General Jeff Sessions announced a “zero tolerance” policy toward border crossings in April. According to the Associated Press, a 16-year-old girl in a South Texas facility took care of a 4-year-old girl she didn’t know for at least three days when they were kept in the same chain-link cage together. The teenager told the story to Michelle Brane, the director of migrant rights at the Women’s Refugee Commission, who spent time at the facility on Friday. Agents initially thought the 4-year-old was younger, in part because she wasn’t talking or communicating with anyone. As it turned out, the girl spoke only K’iche, a language indigenous to Guatemala, and not Spanish. 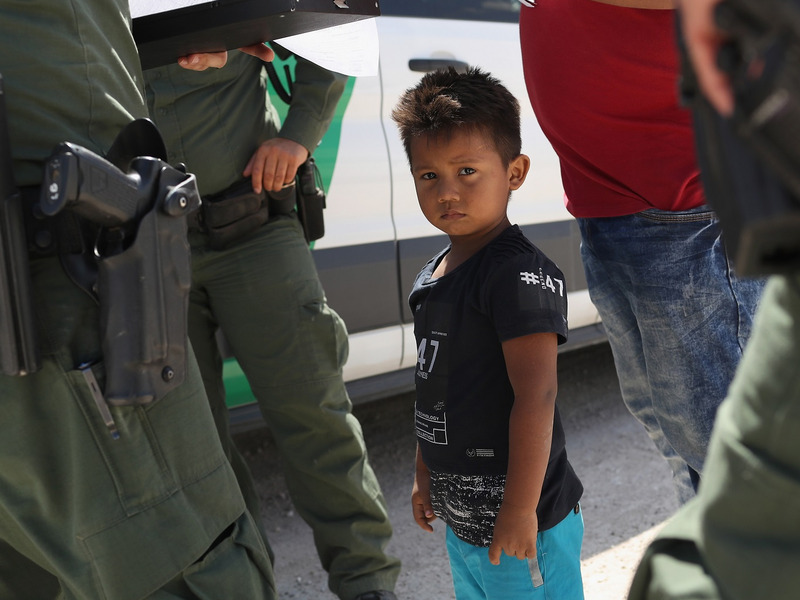 After an attorney began asking questions about the girl’s situation, agents found the girl’s aunt, who had been kept in a different part of the facility, and reunited the two. The facility houses 1,100 adults and children, but hundreds of children are reportedly kept apart from their parents or other family members. In April, Attorney General Jeff Sessions announced a “zero tolerance” policy toward migrants crossing the US border illegally. Adults can now be tried as criminals for entering into the US illegally, causing them to lose custody of their children. Most children are sent to live with family members, but until then they are largely housed in about 100 government-run centres, one of which limits kids to two hours of outdoor time a day.